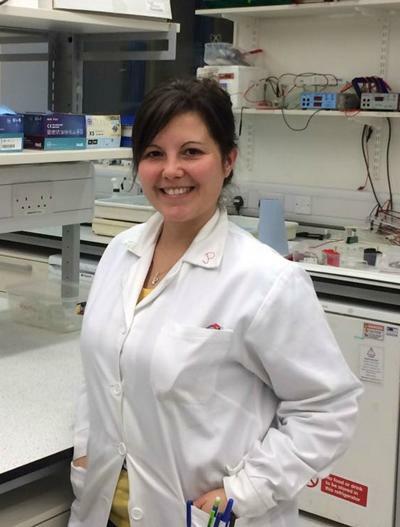 Patricia Gonzalez Izquierdo is Postgraduate Research Student in Biomedical Sciences within Biological Sciences at the University of Southampton. After her graduation in Biochemistry by University of Cordoba (Spain), Patricia completed a master degree in Translational Biomedical Research in which she investigated synaptic components involved in autism and other cognitive diseases with C. elegans as organism model. Currently, she is working with C. elegans as a tool for finding new routes to the treatment of human organophosphate poisoning. 2016-present: PhD studentship. University of Southampton, UK. 2010-2011: MSc in Translational Biomedical Research. University of Cordoba, Spain. 2005-2010: BSc in Biochemistry. University of Cordoba, Spain. Anti-cholinesterases including carbamates and organophosphates have an associated neurotoxic risk linked with their use as pesticides, chemical warfare and terrorism. The inhibition associated to cholinesterases leads to continuous stimulation of both nicotinic and muscarinic acetylcholine receptors due to the increase of acetylcholine in the synaptic cleft and resultant widespread life-threatening effects on neuromuscular, autonomic and central neurotransmission. Current antidotes to such poisoning have limitations therefore new approaches are required. The aim of my project is to look at alternative molecular pathways impacting in organophosphate poisoning that may provide distinct routes to understand and mitigate such toxicity. C. elegans is a suitable organism model due to cholinesterase activity is pivotal to neuromuscular dependent behaviours. This reinforces the wider value of this organism in studies of neurotoxication that readily translates to mammalian models. PhD Supervisor: Prof. Vincent O’Connor, Prof. Lindy Holden-Dye, Dr. Christopher Green, Dr. John Tatterstall. Phd Research: New routes to the treatment of human organophosphate poisoning. Funding provider: 50% University of Southampton and 50% DSTL.